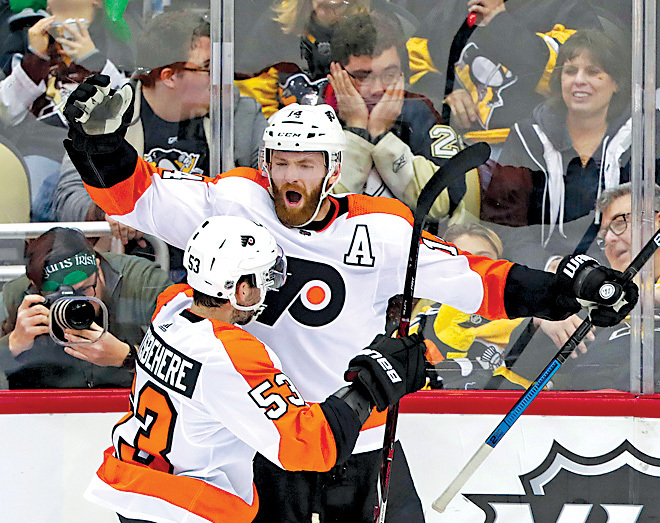 The Associated Press The Flyers’ Sean Couturier (14) celebrates with Shayne Gostisbehere after his game-winning goal. Kessel played in his 319th consecutive game with Pittsburgh, tying Craig Adams’ franchise record. The Penguins begin a four-game road trip on Tuesday in Carolina.